Chef I Fine-Art Print by T.C. Chiu at ChefDecor.com. 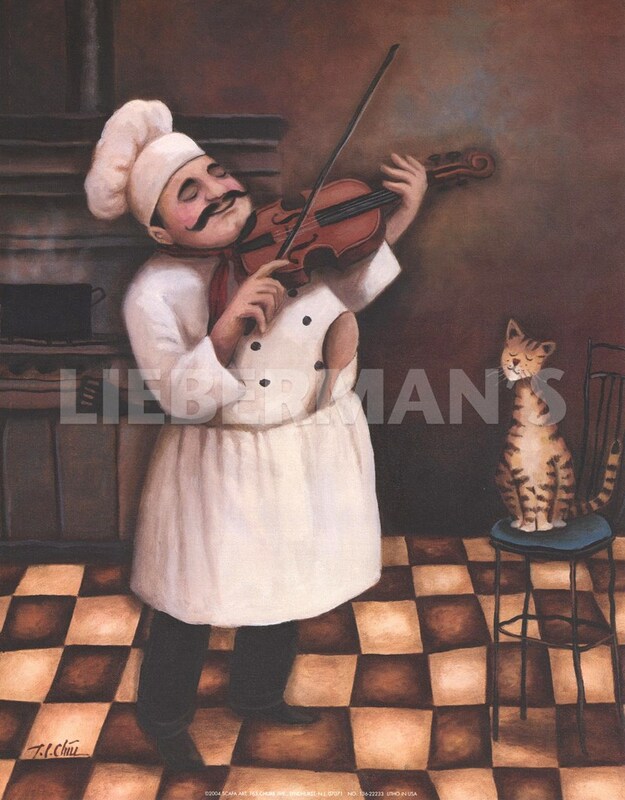 In his kitchen a chef plays his violin to his content cat, while waiting for his meal on the stovetop.